omg i cannot wait for this book to come out!!!! hurry up 2011!!!!!!! OMG WHEN??????? I CANT WAIT!!! I can’t wait!!!! i can’t wait i can’t wait i can’t wait! WHY CAN’T IT BE OUT NOW??!!!!!! I havent looked forward to the release of a book this much in so long. Once the actual date is released, I’ll be counting down the days! Is the book out yet?? It’s already 2011! OMG i just finshed reading book one IT WAS AWESOME i cnt wait till the nxt one comes out i reallllllllllllllllllllllllllllllllllllllllllllllllllllllllllllllllllllllllllllllly realllllllllllllllllllllllllllllllllllllllllllllllllllllllllllllllllllllllllllllly hope it soon!!!!!!!!!!!! I have 17 more chapters left in Genisis and I already want the next book!! I plan to finish it tonight! What month this year will the book be released?? I am so keen! OMG! I just finished Genesis, the first book and I really really want the second! When is it out, someone please tell me! when in 2011!?!?!?!?!?!?!? I finished it AAAAAGGGGGEEEEESSS AGO! Noe i need the next to come out! So WHENNN IN 2011?!?!?!?!?!? OMG this book is going to be awesome i enjoyed the first book so much cant wait to see what happends in the next one! hurry up i want it NOW!!!!!!!!!!! Just finished reading last night!!!!!!!!! Omg ILY PIP!!!!!!!!!!!! Ahhhh the nxt book cant come soon enoguh!! thanks fro being such a great writer i cant wait for equinox to come out!!!! GET PIP AND ROSIE BACK TOGETHER!!!! They were actually sooo cutee!! I agree!! I LOVED PIP. Wish they could make a movie of it. I liked the way he treated her at the end! OMG i can wait, i loved the first book ! WOW!! The book is soooo awesome! I cant wait til the next book comes out!! Lara Morgan should write more books!! HURRY, HURRY, HURRY NOVEMBER 2011!!!!!!!!!!!!!!!!!!!!!!!!!! I would LOVE it to be made into a movie and if it ever happens you guys will be the first to know. Do you no the exact date for Equinox to come out yet? PLZZZZ it i killing me to have to w8! this book will be turned into a movie for sure i know it!!!!!! such an awesome 1st book cant wait for the second!!!! keep up the good work Lara! so glad you like it and funny you should ask about book 3 – I’m working on it at the moment and it’s out next year. Thank you so much, can’t wait to read it!!!!!!!! I keep imagining this as a movie, and I know it would be amazing! Thank you so much! yea it would make an AMAZING movie! when is the 3rd one out Na JKJK I LOVE the series and I’m not usually into these kinda books i got it for Christmas and have nearly finished it a day later and just a question whats the 3rd one going to be called? Its so weird how so many comments are about Pip he is just such an awesome character i fell in love with him!!! Is this book going to be made into a movie i think it would be a really good movie and seems ah-mazing!! Please make it into a movie!!! thanks for letting me know, always lovely to hear. 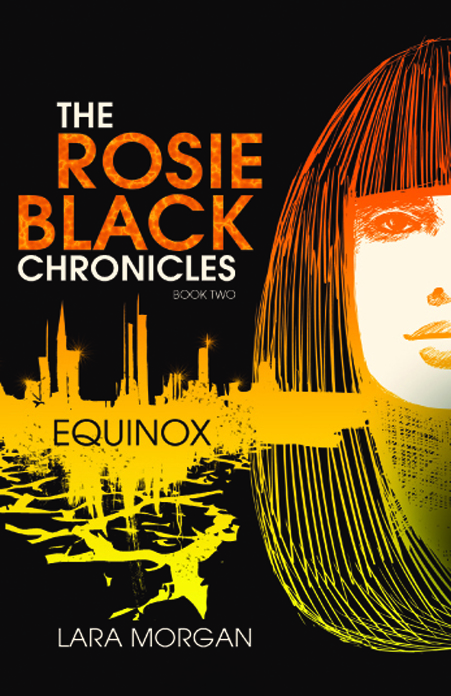 You should be able to get Equinox at most bookstores, if they don’t have it just ask them to order it in for you. I think a Rosie Black movie would be amazing!!! Would it be an Australian- made film? It would be awesome if you held open auditions for Australian citizens!